These two are one of the most loving couples I've ever met! When this NC born gal met this Texas boy, the search was over! Mary and Josh chose the beautiful Brawley Estate for their wedding celebration, a stunning backdrop for this Southern couple! Mary was elegant in her all lace and beaded gown with gorgeous up-do. 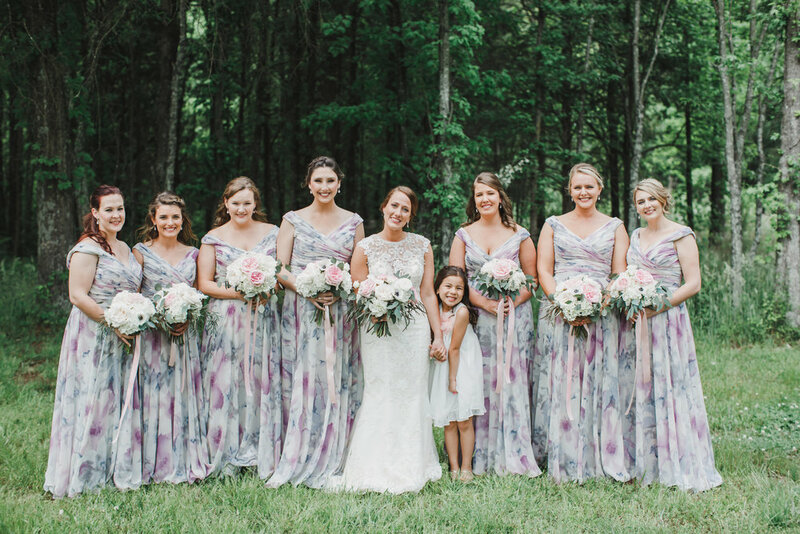 Flanked by her girls in their watercolor floral gowns, this entire group of ladies were truly sisters - some by family and some by longtime friendships. Victoria, Josh and Mary's daughter, was the sweetest flower girl ever! Josh and his guys were in bright navy suits with hints of blush pink to match the color scheme. 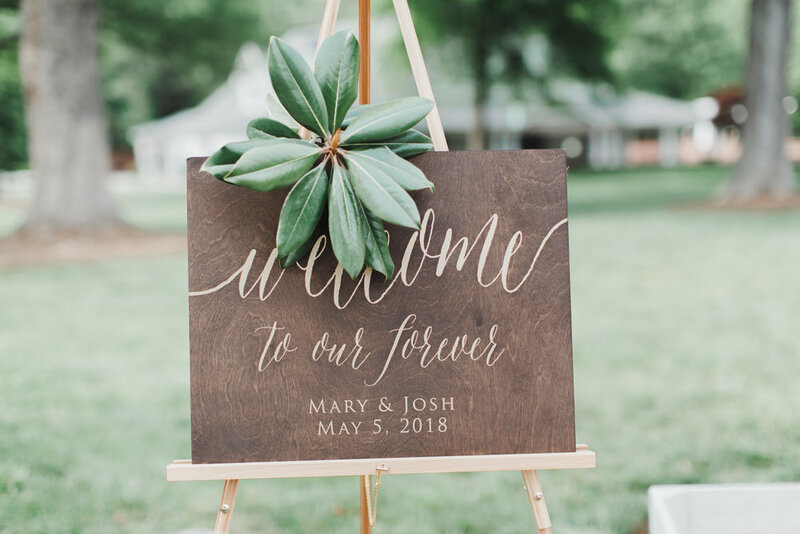 The ceremony was held in front of the historic house and cheers broke out as Mary and Josh became Mr. and Mrs.. Guests were treated to a Southern buffet dinner, dancing, and toasts from the Father of the Bride and best friends. One of the sweetest moments of the night was the Father/Daughter dance, where Mary and her father were joined by Josh and Victoria. Josh and Mary have quite the sweet tooth and had special treat bags for guests as favors with all their favorite candy selections! After a night of celebration, these two departed to a gorgeous sparkler exit!! I cannot wait to see their story unfold as husband and wife! All the best to Mr. and Mrs. Marsh!